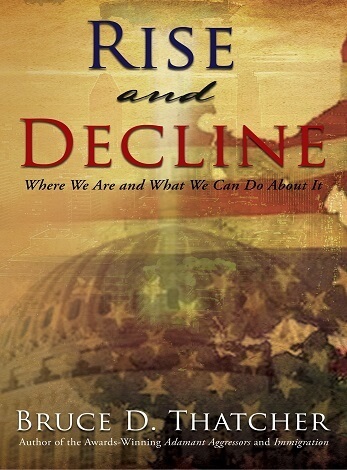 Founding principles drive rise … their rejection means decline. Ancient Athens founded on citizen sovereignty, upward mobility, individual honor … all devalued by the end. Roman Republic founded on citizen participation including trustworthiness, sovereignty of the state, freedom from one-man rule ... gone by the time of Julius Caesar. Poland-Lithuanian Commonwealth established ‘Golden Liberty’ rights and responsibilities … all diminished and corrupted before dissolution. French Third Republic implemented Liberté, égalité, fraternité gradually and selectively with specified rights ... terminated by Vichy government in 1940. United Kingdom’s parliamentary sovereignty includes specific rights granted over time … erosion of rights threatens continued existence. Preamble to Declaration of Independence and Bill of Rights enshrine individual liberty for Americans … threatened by government usurpation and citizen antipathy. As acceptance of its raison d’être diminishes among its citizens, a nation declines and dies. Citizens can extend their nation’s life by consistently honoring founding principles.